Minsk, June 24, Interfax – The Belarusian Orthodox Church said the death penalty must be abolished. But it also said that this problem should not be politicized. “The Belarusian Orthodox Church drew citizens’ attention to the problem of the death penalty back in the 1990s. 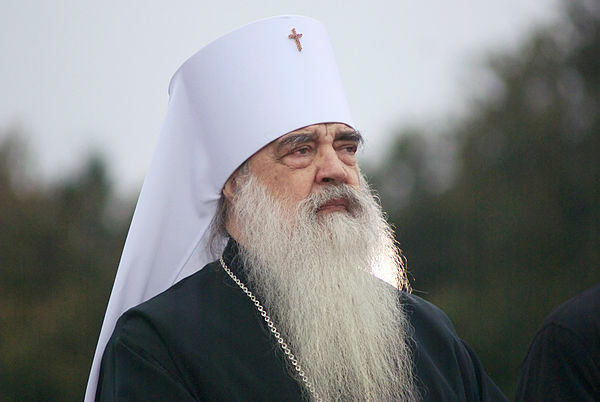 In 1996, on the eve of a national referendum which dealt with the death penalty among other issues, we urged the Belarusian people to give up this punishment,” Metropolitan of Minsk and Sluzk and Patriarchal Exarch to all Belarus Filaret said in a message of greetings to a roundtable conference on religion and the death penalty in Minsk. “We, Christians, cannot justify the death penalty, because it is the sin of murder. Any life belongs to God as its creator. It is not us, the sinful, who give one the gift of life. It is not for us to take one’s life away. Our Lord, Jesus Christ, sacrificed His life for each of us after suffering humiliation, torture and death on the Cross. By subjecting its citizens to the death penalty the state crucifies Christ again and again,” Metropolitan Filaret said. “That was our position when the referendum was held. It has not changed,” he said. Citing the fundamentals of the Russian Orthodox Church’s social concept, Metropolitan Filaret said that, “many countries have abolished the death penalty and do not practice it.” “Remembering that mercy is always better than revenge, the Church welcomes such steps,” he said. He also said that Patriarch Kirill of Moscow and All Russia and his predecessor Patriarch Alexy II both spoke in favor of abolishing the death penalty.